Today is the age of video. People watch over a billion hours of video on YouTube alone every single day; TechCrunch puts that at about 8.4 minutes per living human per day. And everyone wants in on the act - amateur and professional videographers are uploading reems of content to the internet every minute, anything from informative tutorials on how best to style your dog’s hair to extensive thought pieces on global affairs. And all of this video content sits in the same platform. Editing your video footage and creating your finished product is both time consuming and difficult, especially for beginners. Learning all the video editing jargon and putting it into action in an effective way - and a way that improves the quality of your product - is a tough task, but it's necessary to get jobs in videography. Thankfully we’re on hand with this easy guide to the best video editing tools. There are lots of online tools designed to take the sting out of your editing process - let's take a closer look at the front runners. Just a decade ago it wasn’t possible for people starting out to create and edit high-quality video, but today there are lots of options available. In fact, smartphones have exceptional cameras that make it easy to create great videos right on your smartphone. iMovie Said to help you “turn your videos into movie magic,” iMovie is the hugely popular iOS app that helps you create professional videos from your smartphone clips. Pinnacle Studio Pro Get amateur smartphone clips ready for the big screen with this fully featured and extensive app for iOS. Add transitions, effects and soundtracks on the go, and access your project across all iOS devices. Kinemaster Pro The only professional video editor for Android that has all the editing tools you need, Kinemaster Pro helps you get the most out of all that footage you shoot on the go. Adobe® Premiere® Clip Adobe doesn’t just deal in the big screen. Discover the power of Adobe tools on your iOS or Android mobile devices with Adobe® Premiere® Clip. Ensuring your videos are accessible for all is an important part in the video production process. Remember: not everyone will watch your videos with sound. Hearing difficulties and busy environments are examples of areas where your audio can get lost - make sure you cater to your full audience. Still unsure how to add captions to video? Take a look here. Trint Trint’s fast transcription software takes your audio files and turns them into subtitles and captions using the power of artificial intelligence. Within Trint, you can easily edit your captions and export them in a range of subtitle formats for use within your video editing software. Trint also has a free caption extension for Adobe® Premiere® Pro CC so you can add captions to video in seconds. Download it here. Mister Horse This completely free plugin for Adobe After Effects has everything you need to take your editing skills from zero to hero. With transitions effects, animation composition and more, you’ll always be learning with Mister Horse. Seamless Transitions Forget jumpy cuts and messy transitions with Seamless Transitions from ChungDha. Designed to take your transition game to the next level without the hassle, this plugin is hugely popular among the YouTube video editing community. Jarle’s Presets Used to edit major films like Deadpool and cult classic Sharknado 2, Jarle’s Presents for Adobe Premiere Pro are a must-have addition to your video editing process. Nectar 3 Mixing vocals has never been so easy. Get super specific with your sound editing on a ton of different levels, all in an interface that’s easy to use and quick to learn. Xfer Records: Serum Serum is a virtual instrument that will have you editing audio like a professional in no time. It’s what’s known as a “wavetable synthesizer” which creates sound via groups of waveforms, known as wavetables. Want to add that unique sound to your video? Look no further. Accusonus For those working in Final Cut Pro X, Accusonus is your dream sidekick when fixing background noise such as fans, buzzing, hissing and all manner of other distractions. If you’ve ever noticed these background noises in your audio after you’ve finished recording, you’ll understand why this simple addition makes such a big difference. Sonicfire Pro Also a plugin that enhances your work in Final Cut Pro X, Sonicfire Pro allows you to create custom music soundtracks to fit the mood and duration of your clips. Tired of getting your videos taken down for copyright issues? Take tunes into your own hands. Managing and streamlining your workflows should be a top priority when editing video. The below will make great additions to your video editing software; they’re designed to make things easier from start to finish. Frame.io Collaboration can be the key to a successful video project, but it can be slow and tiresome to review and make edits. Frame.io is a cloud-based collaboration tool that helps you share and review your project in real time around the world. Teamwork makes the dream work! Sequence Clip Reporter This handy tool creates a report in Excel about the visuals, audio clips, transitions markers and titles you’ve used in your project. It’s a time-saving genius for anyone working in Adobe® Premiere® Pro. 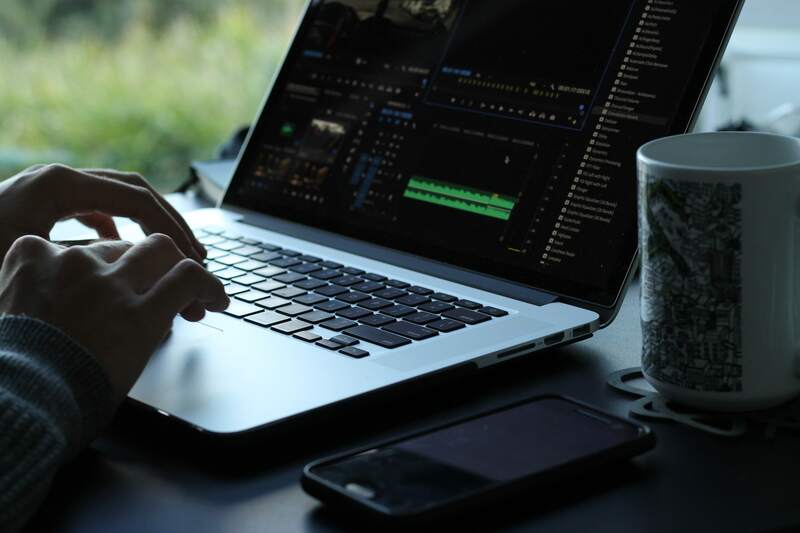 Cross video subtitling off your to-do list and dedicate your time and effort to the creative parts of your editing process. Get your free trial of Trint today.